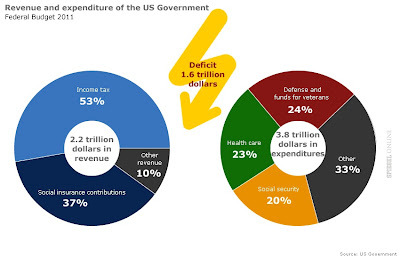 In this post the United States Federal Budget of 2011 is depicted. On the left side you can see what the revenues consist of and on the right side this is shown for the expenditures. You can see that there is a 1.6 trillion dollars deficit in the 2011 budget.